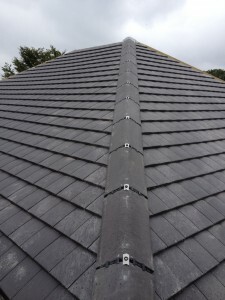 Cement is widely used throughout roofing in order to affix roof tiles, but at Beddard Roofing Ltd, we like to do things a little bit differently. We only use the best roofing materials and supplies, and so we prefer to provide our clients with the Marley Eternit Universal System. This system has been designed to be used across the key areas on your roof, include the eaves, verges, valleys and ridges. However, it comes with one major benefit – no cement. Your roof is the main weatherproofing feature of your home, which means it has to withstand some fairly extreme temperature changes throughout the year. These changes can cause products such as cement mortar to rapidly expand and contract, which can severely weaken it. When cement weakens, it can develop cracks and can even begin to crumble. This will leave your home open to leaks and further damage, which could end up being incredibly costly. 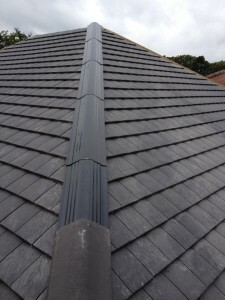 Building regulations now state that roof tiles on the ends, ridges and hips mechanically fixed in place to strengthen them, but we like to go one step further at Beddard Roofing Ltd. When we install roofs, we use dry fix cement to ensure that every single tile is secure and that it won’t be as susceptible to cracks and breakage. 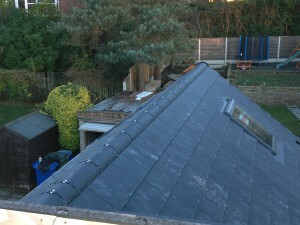 If you want to find out more about our roofer Stockport services, get in touch today.